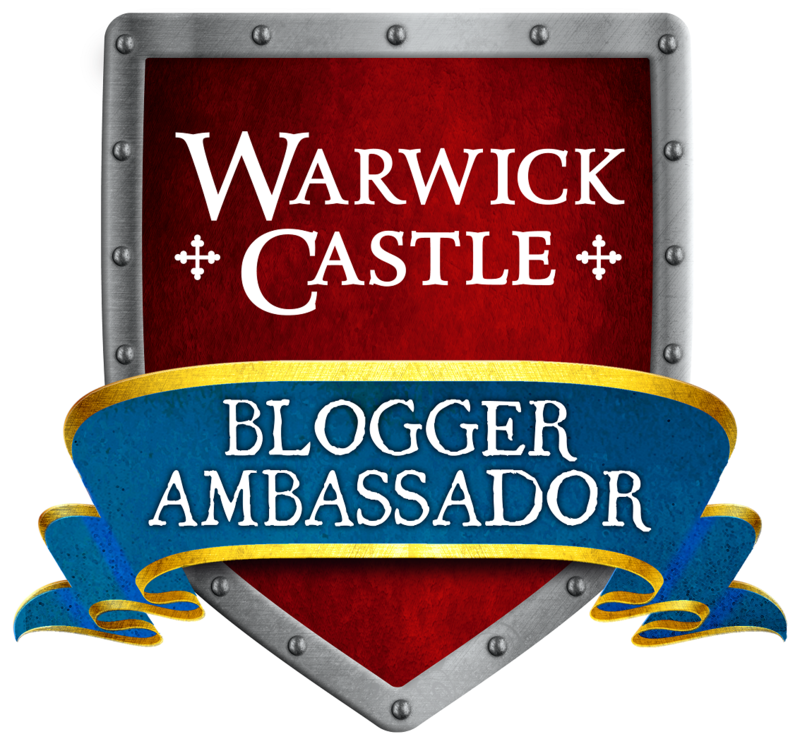 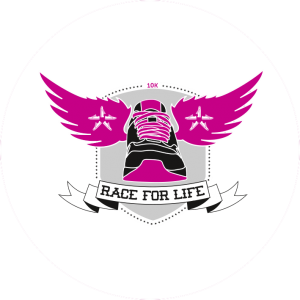 This blog has enabled me to have some fabulous experiences and in many ways it has changed our lives as a family and for that I will be very grateful. However, one of the biggest treats has been the chance to visit an exhibition at the Victoria and Albert Museum before everybody else. 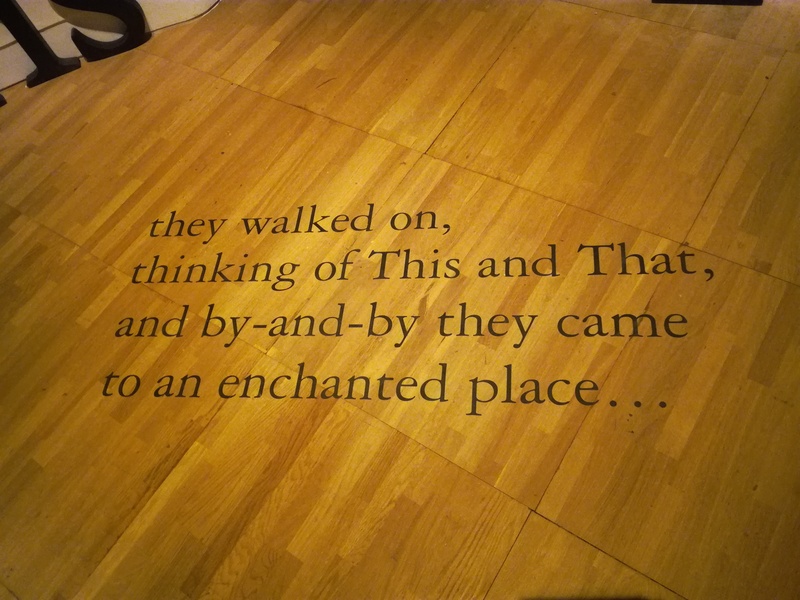 As a museum curator I used to work across the road at The Natural History Museum and I’d dream of visiting the galleries at the V & A without the usual crowds of people. 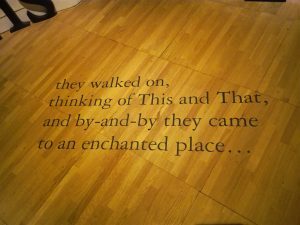 I never thought in a million years that I’d have the chance, but this week I did and what an absolute delight it was! The children can enjoy a slide! 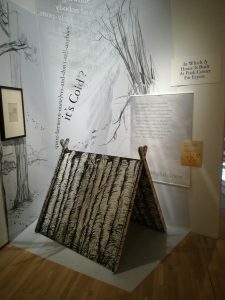 Go camping in the V & A! 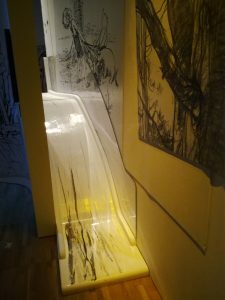 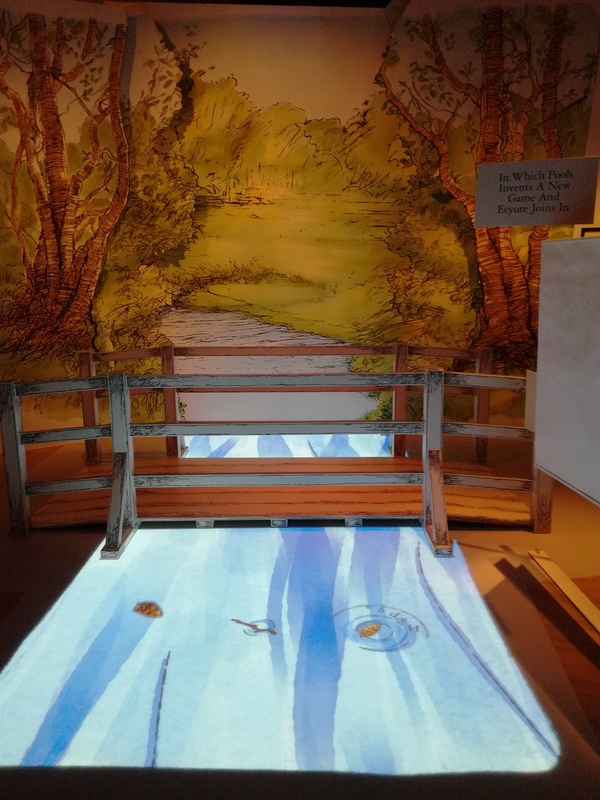 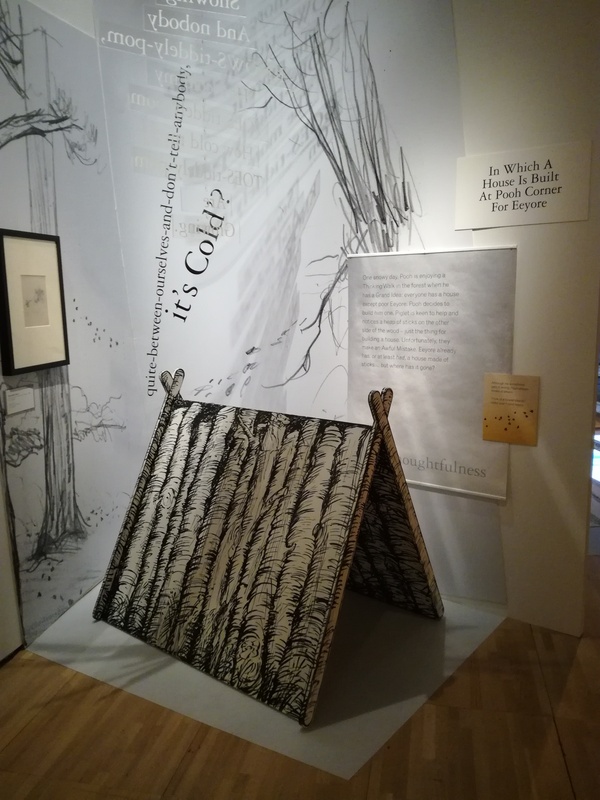 Winnie the Pooh: Exploring a Classic is a completely ground breaking exhibition for the museum as it is the first time that they have attempted a family friendly exhibition. 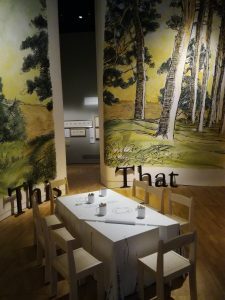 Complete with a slide, a table set for tea (or drawing), a river to pretend playing pooh sticks and some doors only suitable for kids you’d be forgiven for thinking you were in the Discover Children’s Story Centre rather than at the rather adult surroundings of the Victoria and Albert Museum. Recently the museum has really upped its game in terms of the staging of its exhibitions and this exhibition was jaw droppingly stunning, a real visual feast. 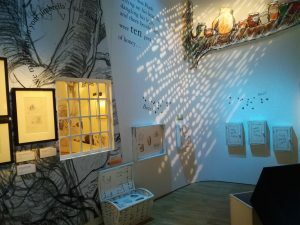 It really is something that I could only aspire to with the exhibitions I (rarely) stage myself. There really is something for all age groups in this exhibition, after all who doesn’t like Winnie the Pooh? The exhibition starts with an array of Pooh related objects, some familiar like Cath Kidston’s collaboration dress some not so and more historic. 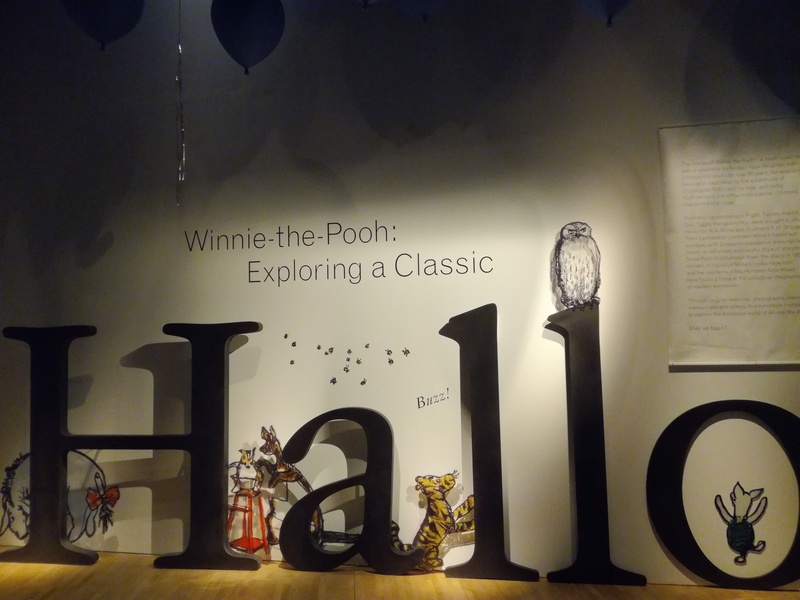 You can also have a look at the teddy bears which were the inspiration for Pooh himself. 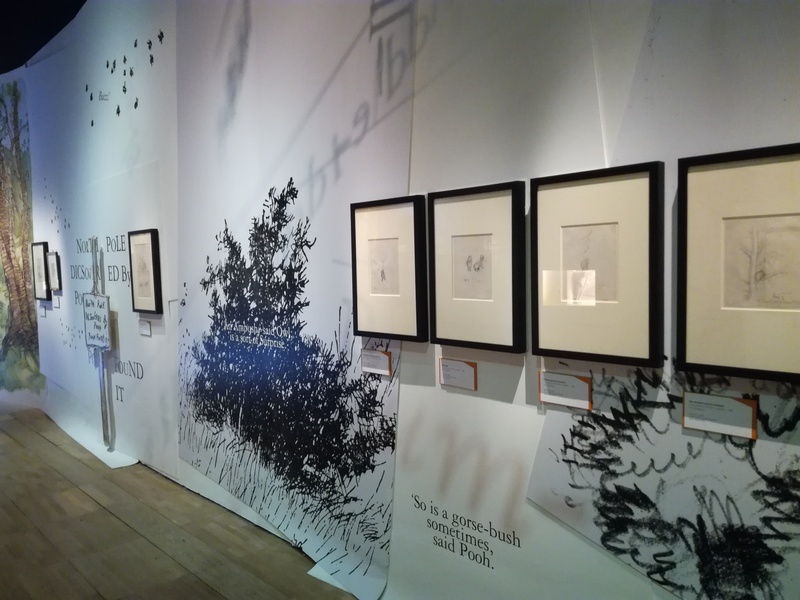 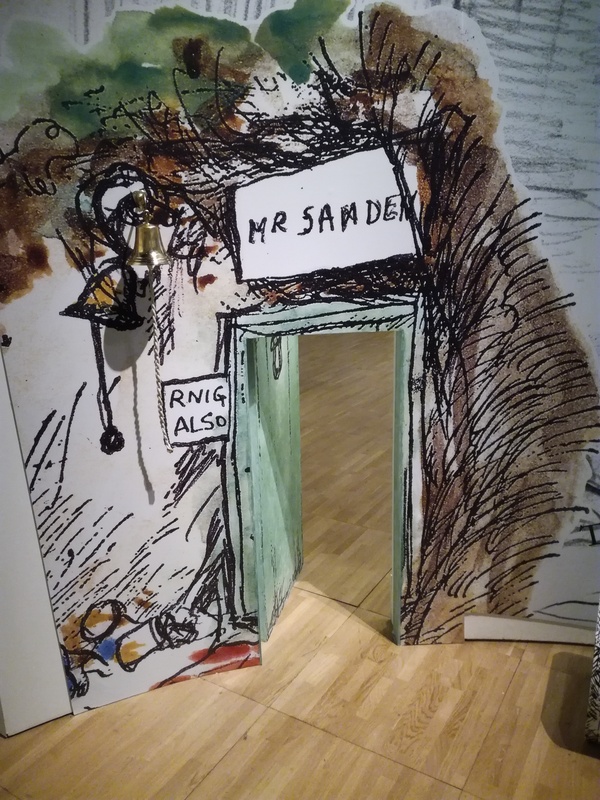 For me, the joy of the exhibition was the chance to actually see some of the original illustrations created by E. H. Shepard, along with A. A. Milne’s family photographs and some of the original printers proof’s. 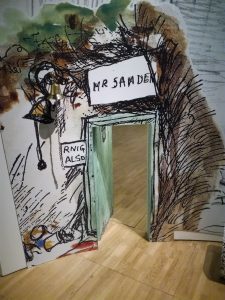 There is a real thrill to seeing the originals of illustrations you are so familiar with and which are part of treasured childhood memories. 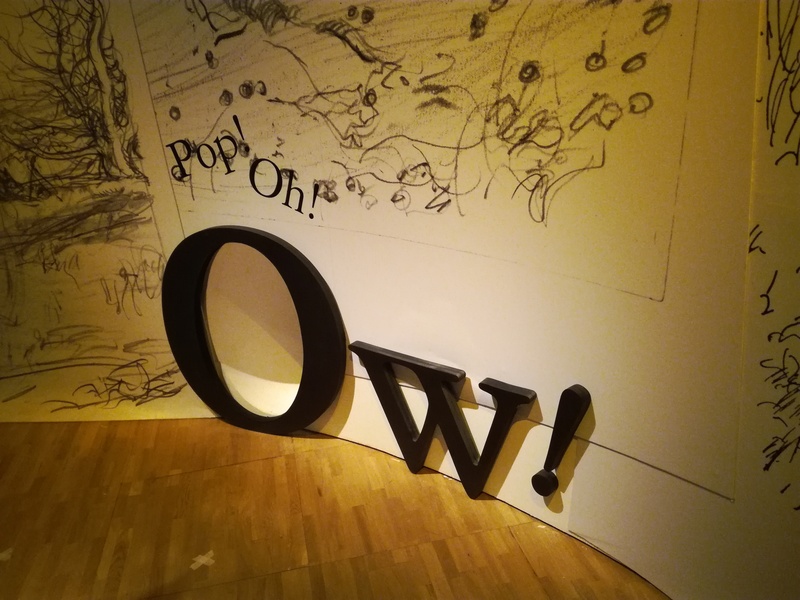 Carefully chosen quotes from the book highlighted around the gallery left me felt inspired to re-read the stories again with my youngest child. 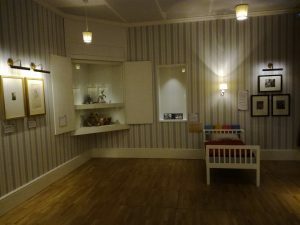 In fact, the whole space was a real delight to be within.